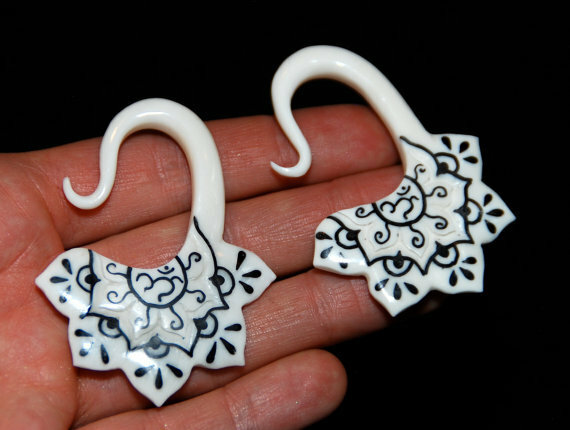 Beautiful hand carved gauged earrings, designed for stretched earlobes only. Hand carved from Water Buffalo Bone, with intricate and ornate carvings on both sides and a small Om in the center. Beautiful detail and amazing craftsmanship!